Adventure = Disaster that didn’t quite happen. (i.e. storm front with waterspout, Andrew C. Revkin with Lon Bubeck on sailboat Rashika, near Maldives). Earth’s climate is shaped by the interplay of two complicated and turbulent systems — the atmosphere and oceans. (The photo above is from the two years I spent at that interface as crew on ocean-roaming sailboats.) The oceans hold the majority of heat in the system, are full of sloshy cycles on time scales from years to decades and, despite an increase in monitoring using sophisticated diving buoys, remain only spottily tracked. It’s no wonder, then, that assessing the mix of forces shaping short-term wiggles in global and regional atmospheric temperature (years to decades) remains a daunting exercise. That’s why it’s worth stepping back after weeks of news about studies of the role of oceans in retarding, and sometimes accelerating, global warming to reflect a bit on the difference between edge-pushing analysis and firm scientific conclusions. There’s been a burst of worthy research aimed at figuring out what causes the stutter-steps in the process — including the current hiatus/pause/plateau that has generated so much discussion. The oceans are high on the long list of contributors, given their capacity to absorb heat. 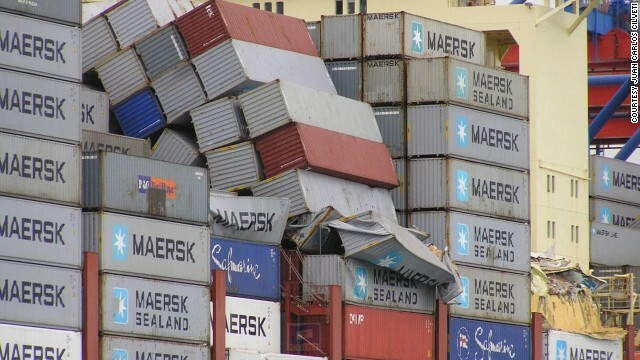 The recent studies have pointed variously to process in the Pacific and Atlantic and Southern oceans (the latter being the extraordinary band of seas in the Southern Hemisphere where winds circulate around the globe unimpeded by continents). The newest paper, in the current issue of Science, “Varying planetary heat sink led to global-warming slowdown and acceleration,” argues that the Atlantic not only has shaped the current plateau, but also was responsible for half of the sharp global warming at the end of the 20th century. The underlying anthropogenic warming trend, even with the zero rate of warming during the current hiatus, is 0.08 C per decade. * [That's 0.08 degrees Celsius, or 0.144 degrees Fahrenheit.] 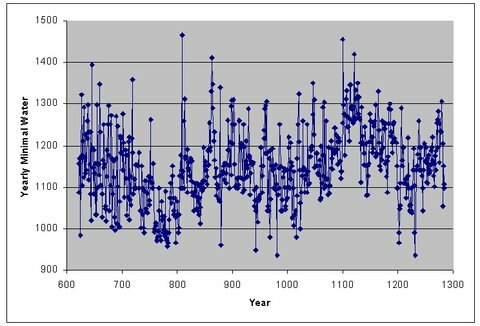 However, the flip side of this is that the anthropogenically forced trend is also 0.08 C per decade during the last two decades of the twentieth century when we backed out the positive contribution from the cycle…. This aspect of the work was largely missed in press coverage. I asked a range of climate and ocean scientists to weigh in on the paper. Many focused on details of the Atlantic-Pacific debate. Carl Wunsch, a visiting professor at Harvard and professor emeritus of oceanography at the Massachusetts Institute of Technology, offered a valuable cautionary comment on the range of papers finding oceanic drivers of short-term climate variations. Variations in the height of the Nile River over the centuries. In 1982 a Chinese aquaculture scientist named Fusui Zhang journeyed to Martha’s Vineyard in search of scallops. The New England bay scallop had recently been domesticated, and Dr. Zhang thought the Vineyard-grown shellfish might do well in China. After a visit to Lagoon Pond in Tisbury, he boxed up 120 scallops and spirited them away to his lab in Qingdao. During the journey 94 died. Thanks to them, today China now grows millions of dollars of New England bay scallops, a significant portion of which are exported back to the United States. As go scallops, so goes the nation. 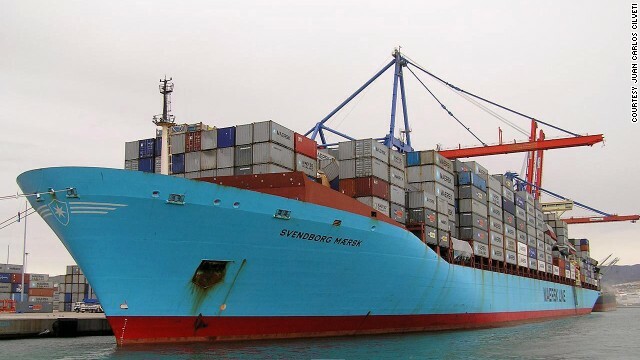 According to the National Marine Fisheries Service, even though the United States controls more ocean than any other country, 86 percent of the seafood we consume is imported. The seafood industry, it turns out, is a great example of the swaps, delete-and-replace maneuvers and other mechanisms that define so much of the outsourced American economy; you can find similar, seemingly inefficient phenomena in everything from textiles to technology. The difference with seafood, though, is that we’re talking about the destruction and outsourcing of the very ecological infrastructure that underpins the health of our coasts. Let’s walk through these illogical arrangements, course by course. Our most blatant seafood swap has been the abandonment of local American oysters for imported Asian shrimp. Once upon a time, most American Atlantic estuaries (including the estuary we now call the New York Bight) had vast reefs of wild oysters. Many of these we destroyed by the 1800s through overharvesting. But because oysters are so easy to cultivate (they live off wild microalgae that they filter from the water), a primitive form of oyster aquaculture arose up and down our Atlantic coast. Until the 1920s the United States produced two billion pounds of oysters a year. The power of the oyster industry, however, was no match for the urban sewage and industrial dumps of various chemical stews that pummeled the coast at midcentury. Atlantic oyster culture fell to just 1 percent of its historical capacity by 1970. Kurumas were favored in a preparation known as “dancing shrimp,” a dish that involved the consumption of a wiggling wild shrimp dipped in sake. Dr. Fujinaga figured out how to domesticate this pricey animal. His graduate students then fanned out across Asia and tamed other varieties of shrimp. Today shrimp, mostly farmed in Asia, is the most consumed seafood in the United States: Americans eat nearly as much of it as the next two most popular seafoods (canned tuna and salmon) combined. Notably, the amount of shrimp we now eat is equivalent to our per capita oyster consumption a century ago. And the Asian aquaculture juggernaut didn’t stop with shrimp. In fact, shrimp was a doorway into another seafood swap, which leads to the next course. Most seafood eaters know the sad story of the Atlantic cod. The ill effects of the postwar buildup of industrialized American fishing are epitomized by that fish’s overexploitation: Gorton’s fish sticks and McDonald’s Filets-o-Fish all once rode on the backs of billions of cod. 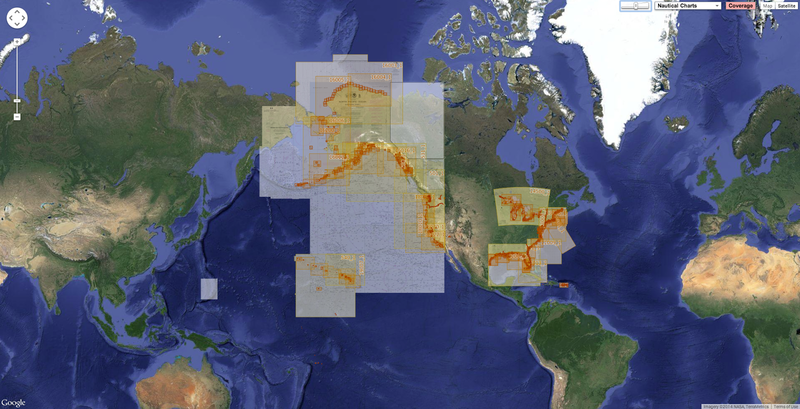 The codfish populations of North America plummeted and have yet to return. 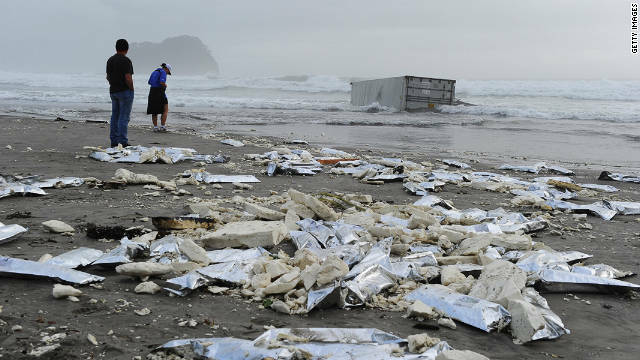 Just as the North Atlantic was falling as a fish-stick producer, the Pacific rose. Beginning in the 1990s two new white fish started coming to us from Asia: tilapia, which grows incredibly fast, and the Vietnamese Pangasius catfish, which grows even faster (and can breathe air if its ponds grow too crowded). These two are now America’s fourth- and sixth-most-consumed seafoods, respectively, according to the National Fisheries Institute. Alongside them, a fishery arose for an indigenous wild American Pacific fish called the Alaskan, or walleye, pollock. In just a few decades, pollock harvests went from negligible to billions of pounds a year. In fact, there is so much pollock that we can’t seem to use it all: Every year more than 600 million pounds is frozen into giant blocks and sent to the churning fish processing plants of Asia, Germany and the Netherlands. Sending all this wild fish abroad and then importing farmed fish to replace it is enough to make you want to take a stiff drink and go to bed. But when you wake up and reach for your bagel, surprise! The fish swap will get you again. There was a time when “nova lox” was exactly that: wild Atlantic salmon (laks in Norwegian) caught off Nova Scotia or elsewhere in the North Atlantic. But most wild Atlantic salmon populations have been fished to commercial extinction, and today a majority of our lox comes from selectively bred farmed salmon, with Chile our largest supplier. This is curious, given that salmon are not native to the Southern Hemisphere. But after Norwegian aquaculture companies took them there in the ’80s, they became so numerous as to be considered an invasive species. The prevalence of imported farmed salmon on our bagels is doubly curious because the United States possesses all the wild salmon it could possibly need. Five species of Pacific salmon return to Alaskan rivers every year, generating several hundred million pounds of fish flesh every year. 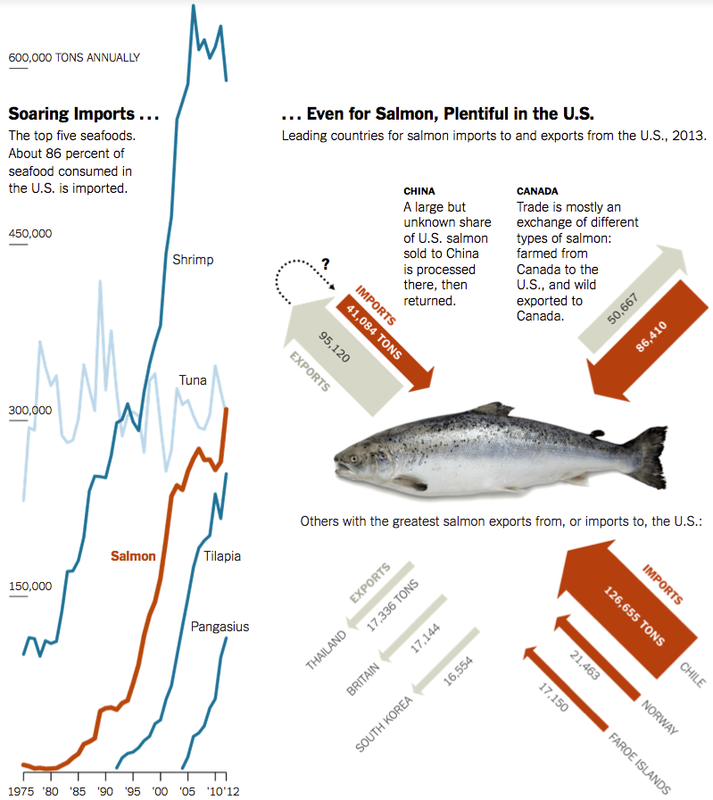 Alaska, by far our biggest fish-producing state, exports around three-quarters of its salmon. To make things triply strange, a portion of that salmon, after heading across the Pacific, returns to us: Because foreign labor is so cheap, many Alaskan salmon are caught in American waters, frozen, defrosted in Asia, filleted and boned, refrozen and sent back to us. Pollock also make this Asian round trip, as do squid — and who knows what else? 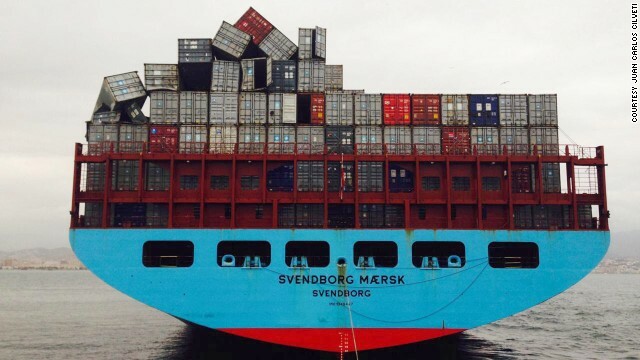 When you dig into the fish-trade data, things get murkier. So, for example, when fish sticks are cut from blocks of imported “white fish” in an American facility and exported to a foreign country, they are classified as American domestic production. Meanwhile some of our imports, as with an unknowable portion of our salmon, are taken from American waters, reprocessed elsewhere and brought back home. Do these percentages cancel themselves out? 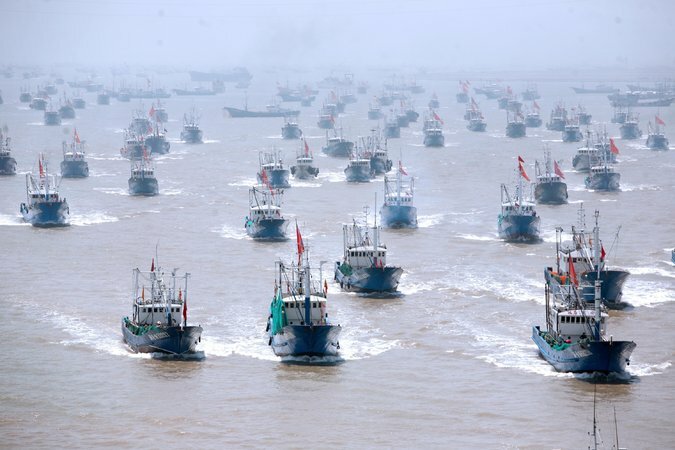 Globalization, that unseen force that supposedly eliminates inefficiencies through the magic of trade, has radically disconnected us from our seafood supply. Of course, there is a place for the farming of shrimp, just as there is a place for the farming of oysters. There is a need for efficient aquacultured species like tilapia and Pangasius, just as there is a need to curb the overfishing of Atlantic cod. There is even a place for farmed Atlantic salmon, particularly if it can be raised so it doesn’t affect wild salmon. But when trade so completely severs us from our coastal ecosystems, what motivation have we to preserve them? I’d argue that with so much farmed salmon coming into the country, we turn a blind eye to projects like the proposed Pebble Mine in Alaska, which would process 10 billion tons of ore from a site next to the spawning grounds of the largest wild sockeye salmon run on earth. I’d maintain that farmed shrimp inure us to the fact that the principal rearing ground of Gulf shrimp, the Mississippi River Delta, is slipping into the sea at a rate of a football field an hour. I’d venture that if we didn’t import so much farmed seafood we might develop a viable, sustainable aquaculture sector of our own. Currently the United States languishes in 15th place in aquaculture, behind microscopic economies like Egypt and Myanmar. And I’d suggest that all this fish swapping contributes to an often fraudulent seafood marketplace, where nearly half of the oceanic products sold may be mislabeled. We can have no more intimate relationship with our environment than to eat from it. During the last century that intimacy has been lost, and with it our pathway to one of the most healthful American foods. It is our obligation to reclaim this intimacy. This requires us not just to eat local seafood; it requires the establishment of a working relationship with our marine environment. It means, in short, making seafood not only central to personal health, but critical to the larger health of the nation. Marine life in the Caribbean has been badly hurt in recent decades by everything from an introduced pathogen that killed off reef-grooming sea urchins to more familiar insults like overfishing and impacts of tourism and coastal development. Some small island states are now trying to restore once-rich ecosystems while sustaining their economies. A case in point is Barbuda, population 1,600 or so, where the governing council on Aug. 12 passed a suite of regulations restricting activities on a third of the island’s waters. The regulations and reef “zoning,” in essence, came about after months of discussions involving fishing communities, marine biologists and other interested parties, facilitated by the Waitt Institute, a nonprofit conservation organization. Of course, it’ll take time to see if the ambitious marine zoning plan works as intended. Local fishermen are seeking help finding new sources of income, according to the Antigua Observer. But the process, which took nearly two years of study and meetings, provides a promising template not only for other island communities but also for any region where environmental restoration efforts have to mesh with local economic concerns. The best way to avoid resistance is to involve affected communities from the start. The initiative brings to mind the Cheonggyecheon stream restoration project in the heart of Seoul that I wrote about in 2009. The mayor’s team held hundreds of meetings with merchants and residents to work out issues and explain benefits. By Minister Arthur Nibbs and Ayana Elizabeth Johnson, Ph.D.
Small islands face big ocean problems, but the solutions can be simple. Set some areas aside, protect key species, and prevent habitat damage. This will benefit the economy, help ensure food security, and allow the ocean to be used sustainably, profitably, and enjoyably, for this and future generations. 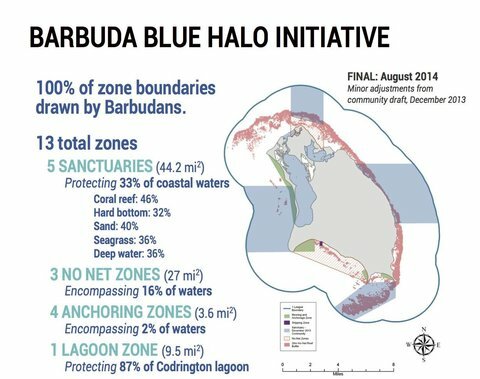 A year-and-a half ago, the Barbuda Council and the Waitt Institute forged a partnership to envision a sustainable ocean future for the island of Barbuda and launch the Barbuda Blue Halo Initiative. Put simply, we collaborated to design a plan to use the ocean without using it up. 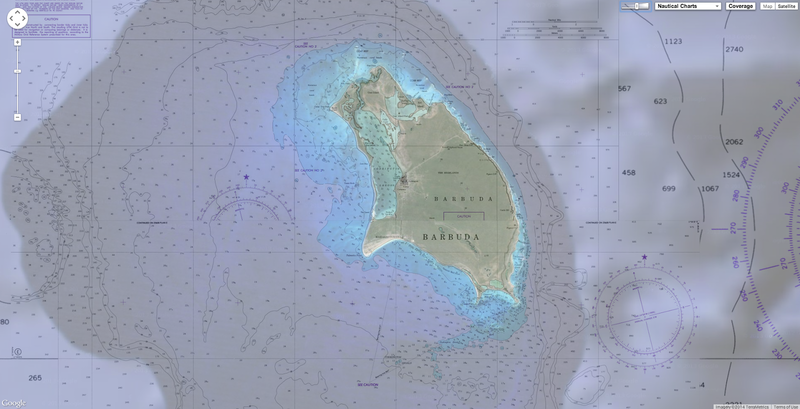 This month, the Barbuda Council signed into law a sweeping set of new ocean management regulations that zone the coastal waters, strengthen fisheries management, and establish a network of marine sanctuaries. Barbuda may be a small island, but we hope the big commitment represented by these new policies will set an inspiring example for the region. The new regulations create five marine sanctuaries, collectively protecting 33% (139 square kilometers) of the coastal area, and initiate a two-year hiatus on fishing in Codrington Lagoon to enable fish populations to rebuild and habitats to recover. Catching parrotfish and sea urchins has been completely prohibited, as those herbivores are critical to keeping algae levels on reefs low so coral can thrive. Barbuda is the first Caribbean island to put either of these important, strong measures in place. Of course, if the community didn’t support this, it wouldn’t work. Therefore, to ensure the new policies reflect stakeholders’ concerns and priorities, there were six rounds of community consultations. The final zoning map is the fourth iteration – the boundaries have changed dramatically since the Council’s initial draft. The prohibition of using nets on the reefs was included at the request of local fishers concerned with reef damage. Though there will never be 100% agreement, this has been a consensus-seeking process and the Council aimed to balance current and future needs to use ocean resources. Why were these measures necessary? First, Caribbean-wide, communities are seeing declines in the health of coastal ecosystems and fish populations. Barbuda is no exception. On average, Barbuda’s reefs are 79% covered in algae, with less than 14% living coral. This is not good for fishing or tourism; fish need habitats and tourists want to see vibrant abundance. Second, fishers now have to go further and into deeper water to make a good catch. This is expensive in fuel and it is dangerous. The regulations aim to rebuild coastal fisheries and ensure fishers have a livelihood that will last in perpetuity. Some people will say that these policies are meant to hurt fishers, but that couldn’t be further from the truth. The sanctuaries were created to replenish the surrounding fishing areas. Third, Barbuda is highly endangered by climate change and sea level rise. The coral reefs and mangroves buffer the island from the impacts of storms, so by protecting the reefs and mangroves, they will in turn protect the island. Healthier reefs will also be more resilient to impacts like warming sea temperature that can’t be prevented locally. Last, but certainly not least, dwindling coastal resources threaten local culture. The people of Barbuda have a strong connection to the sea – fish fries, camping on the beaches, kids growing up learning to fish with their parents and grandparents. In order to preserve this way of life, ocean ecosystems must be protected. Over the next several years, the Barbuda Council and Waitt Institute will continue to work closely as these regulations are implemented. The Institute will help to set up a long-term scientific monitoring program, train local staff in marine ecology and field research techniques, design enforcement approaches, provide needed equipment, and work with the schools to develop an ocean education curriculum. Unfortunately, Barbuda is not unique in facing these challenges – degraded coral reefs, depleted fisheries, and climate change impacts are nearly ubiquitous globally. So putting strong ocean policies in place is merely the first step, and we hope that more and more nations will take this step alongside Barbuda. In this arid African Desert, 1/5 of all the diamonds in the world exist. They were so common at one point that the locals could walk across the dunes on a full moon and spot them shimmering from a far. We went to this rumored place and found a diamond of our own.